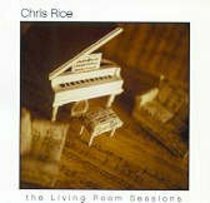 Chris Rice (M.Div., Duke Divinity School) spent many years living and working in Jackson, Mississippi, with Voice of Calvary Ministries. He was managing editor of Urban Family magazine, cofounder of Reconcilers Fellowship and convener of the Issue Group on Reconciliation at the 2004 Lausanne Congress on World Evangelization. He has written for such magazines as Sojourners, Christianity Today and Christian Century, and is author of Grace Matters and coauthor (with Spencer Perkins) of More Than Equals and Reconciling All Things: A Christian Vision for Justice, Peace and Healing with Emmanuel Katongole. Rice and Emmanuel Katongole are founding codirectors of the Center for Reconciliation at Duke Divinity School.